Parliament is corrupt. It is dominated by money. The major parties accept money from the rich and do favours for the rich. We need to drive the money changers from the temple of our democracy. Permission of local custodians to be on their land has been requested. 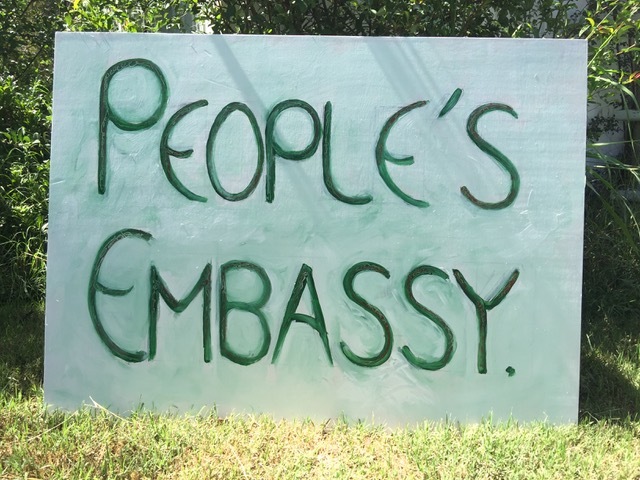 The People’s Embassy will be open initially from Monday 11th February 2019, for three days (a table and signs, daytime only, no camping). Parliament resumes on the 12th. Other rallies may also occur on 12th.